Due to the flooding in Thailand last year, hard drive prices rose to an average of about $66 at year's end. That was a 28% increase from the $51 average price in the third quarter. The Thailand flooding caused a 29% plunge in shipments in the fourth quarter of 2012. Prices are expected to remain high, due to reduced capacity, through 2014. (iSuppli). Computer makers from Asia have reported that demand for their products slipped dramatically in July. The market for DRAM and Flash has predictably suffered. "I'm a little surprised today we have as much pressure in the DRAM industry as we do," Steve Appleton, Micron. Micron shares were down 7.3% to $5.25 in recent trading. The earthquake-tsunami, and the resulting nuclear crisis at Fukushima are still impacting the IC market, but the market has begun to stabilize. NAND Flash demand, the memory most affected by the Japanese earthquake since Japan accounts for about 40% of worldwide NAND Flash capacity, has weakened. The NAND Flash average contract price has decreased by 10-15% since its peak in late April. Many customers added inventory in April to protect against potential shortages. With the supply now proven stable, these customers are consuming inventory and not placing new orders. The inventory should be returned to normal levels in Q3. Japan is still an important supplier of electronic integrated circuits. Tokyo itself, is not an IC manufacturing region. Most of the chip fabrication is located in either Western or Southern Japan. There have already been several international technology management operations that have relocated from Tokyo to Hong Kong. For the immediate future, a calculation must be made including the mobility of existing investments. Silicon Wafers are used by Chip factories as the base material for production. Two Japanese operations, Shin-Etsu Chemical (located in Shirakawa) and MEMC Electronic Materials (located in Utsunomiya), have halted production. The MEMC plant is of less concern, since it has a smaller output, and the type of wafers produced can be substituted from many other facilities. The Shirakawa plant produces 300mm wafers, which are in shorter supply. This plant accounts for 20% of global 300mm silicon wafer production. Shin-Etsu says that it can compensate for this plant's capacity by increasing production at its other facilities. For more information on Japan's crisis, see The Impact of Japan's Crisis on the Technology Sector. There have been reports of shortages in niche markets. For example, Sony's CCD production has been affected, causing short supplies. CCD chips are used in cameras as the photographic element. Two factories operated by Texas Instruments suffered damage sufficient to cause a 2-3 month production outage, but a short-term disruption from the TI factories should not cause a significant problem. Companies that rely on ICs are increasing their chip inventories to insure an adequate supply in the wake of the crisis in Japan. In the 4th quarter of last year, global chip inventories surged to their highest level in over two years. Chip vendors had 84 days of inventory (DOI) at the end of the fourth quarter, up 5.5 days (about 7%) from 78 days in the third quarter. Chip inventories are a key measure of the balance between supply and demand and often indicate future pricing trouble (iSuppli). Once the hysteria concerning Japan recedes, then Flash memory prices should return to their pre-crisis levels, but it is not clear when exactly this will occur. Hynix (Korea), Micron (Singapore), Samsung (Gyeonggi, Korea) and Toshiba (Yokkaichi, Japan) will begin production in new fabs later this year. Yokkaichi, near Kyoto, is about 200 miles SW of Tokyo. A glut of production capacity is anticipated. NAND now sells for about $1.60 per gigabyte, but once the new factories are on-line, the price per gigabyte should decrease by 40-50%. Intel recently cut prices across a wide range of processors used in both mobile and desktop PCs, including reductions of up to 40% on its quad-core chips. The prices of other Core 2 Quad chips were cut by 16%-20%. These quad-core chips are used in high-end desktops. Intel's move is in response to price pressure from rival Advanced Micro Devices, which earlier announced Phenom II quad-core chips for high-end desktops. AMD has cut pricing on some Phenom II X4 and Phenom II X6 CPUs. The X4 (quad-core processors), the 955 BE, 965 BE and 970 BE, had price reductions of $10. The X6 (six-core processors) hav ealso seen price reductions, the 1055T is now $175, the 1090T is $205, and the 1100T costs $239. AMD is exiting the high-end of the PC CPU market. The "bleeding-edge" technology requirements, in a market dominated by Intel, finally has proven too much for the much smaller rival. AMD will continue to supply general purpose modules. Repeated manufacturing SNAFUs at their Dresden factories were behind the AMD withdrawal. Intel’s least expensive six-core processor (Core i7-970), is priced at $885. Intel reduced the price for some of its Xeon CPUs for servers and Celeron processors for mobile devices. The quad-core Xeon 3370 is now priced at $316, a 40% drop from December, while the Celeron 570 chip was cut by 48%, from $134 to $70. Overall, the Semi industry has managed to reduce manufacturing costs by more than 30% per year for the last half-century. AMD and GlobalFoundries have divorced. Since AMD spunoff their manufacturing division into what became GlobalFoundries, the new organization has struggled with the frantic technology pace set by Intel. AMD's move had been expected. Last June, GlobalFoundries fired CEO Doug Grose, who was AMD’s VP of manufacturing, and replaced him with Ajit Manocha, formerly of NXP Semiconductor (formerly Philips Semi, Netherlands). Key GlobalFoundries executives have left the company last year including John Bruno, AMD's principle CPU architect. In 2009, GF officers confidently talked up their intent to win AMD’s discrete GPU business at 28nm. All of AMD’s advanced chips will be built at TSMC. Elpida, the world's No. 3 DRAM supplier with 18% market share, is in debt by $6 billion debt. Faced with daunting profitability challenges, Elpida has followed the well-worn bankruptcy path of former memory giants Qimonda and Spansion. Elpida's liquidation will certainly include the Hiroshima Fab, a facility once valued at more than $1 billion. Elpida's bankruptcy could result in DRAM price stabilization. For example, an estimate by the market research iSupply found if 25% of Elpida’s manufacturing capacity was shut-down, the price of DRAM would increase by more than 15 percent. According to the Thailand Business Report, the recent record floods in Thailand have caused a 20% increase in prices for hard disk drives (HDD). IDC is forecasting that there will be a 25-28% shortfall. 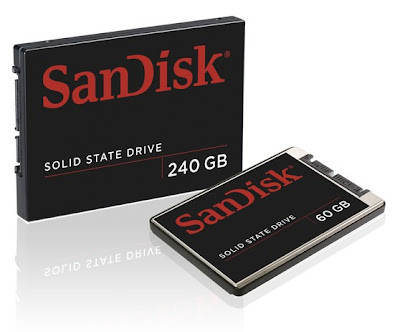 SSD drives can be expected to meet some of the demand. Thailand's flooding was the worst in over a century. Prices appeared to stabilize late in December when Western Digital's factories restarted production, but the impact will be felt for the remainder of 2012. Lenova has reported shortages of high performance drives (7200 RPM), and as a result, is installing lower performance modules, and/or "off-brand" modules. Thailand is a major player in the production of HDD. Western Digital's Bang Pa-In facility produces more than one-quarter of the world’s supply of HDD “sliders”. Western Digital has lost more than 75% of their production capacity. Thailand also is important is automotive electronic components. The auto makers Ford, Mazda, Hino, Honda, Isuzu, Mitsubishi, Nissan and Toyota have all temporarily ceased work in Thailand. Honda and Toyota have been forced to slow production in factories in Indonesia, Japan, Malaysia, North America, Pakistan, the Philippines, South Africa and Vietnam due to the floods. The camera manufacturers Canon, Sony, and Nikon have all suffered production disruptions. Sony has three fabs in Thailand. The disruption has caused Sony to delay product introductions of the cameras NEX-7 and the Reflex Alpha 65, and other components will be in short supply. Sony makes the CCD camera sensors and Digital Signal Processor (DSP) chips which are used to enhance the imagery. A product manager at the Sony fabs estimated that normal production would resume in 3-4 months, or around March 1, 2012. Industry planners are receiving severe criticism, since most of the industrial growth in Thailand has been built in the flood plain north of Bangkok. Some OEM, notably Western Digital, will need years to recover from the damage to their reputation. Last May 20, European antitrust regulators fined nine semiconductor manufacturers more than $400 million for price manipulation of the market for DRAM memory chips. The group said all of the companies admitted their liability for the infringement. The companies were Elpida Memory, Hitachi, Hynix Semiconductor, Infineon, Mitsubishi Electric, Nanya Technology, NEC Electronics, Samsung Electronics, and Toshiba. Micron was not included because it notified the Commission about the cartel in 2002. Many analysts are forecasting 15-20 percent growth in semiconductor sales for this year. Semiconductor revenues may approach $250 billion or more for the year. 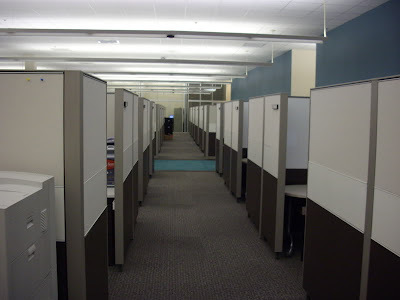 PC manufacturers have been reducing inventory, which has resulted in lower sales at the wholesale market. This has been driving down part prices in general. This process has now run its course, once inventories were reduced, and prices stabilized. Inventories are now again on the rise, which may begin to negatively impact prices if this trend continues. The worldwide PC market increased by more than 24% in the first quarter of 2010 when compared to the prior year. 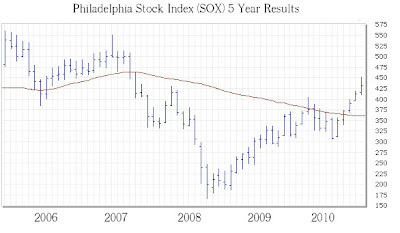 But remember the context; in 2009 the market declined by about 7% relative the preceding year. 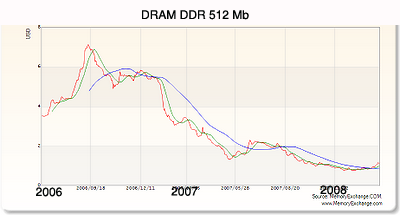 Prices of DRAM stabilized in December after a prolonged price slump. The price of the current benchmark DDR3 2 gigabit, 256Mx8 1333 megahertz is now at $0.88. Only 15 months earlier (September 2010), the same device was selling for $4.34. InSpectrum Technology, (DRAM exchange) predicts lower prices for DRAM for the remainder of the year. Aggressive spending plans by DRAM leader Samsung Electronics has increased production capacity and has resulted in price declines as anticipated. Last year, Samsung increased its spending on new DRAM production capacity to 11 trillion Korean won (~$9.7 billion). A shortage of memory chips early last year caused chip makers like Samsung to increase production. This has resulted in price declines which should continue for the rest of the year. Samsung's goal is to control about 50% of the total DRAM market. Samsung's currently controls about 41% of the global DRAM market, and with an aggressive factory expansion ($7.8 billion in 2011), the goal appears realistic. The average selling price (ASP) for DRAM continues to challenge profitability, but there have been indications that prices are stabilizing in the 1st quarter (2012). The prices have been well below the cost to manufacture. Prices of dynamic random access memory (DRAM) devices rose marginally last April, but stayed below the $1 level, casting doubts on the prospect for their quick recovery. Globally, memory vendors have lost more than $12 billion in the last 3 years. For many manufacturers, the current prices are approaching a break-even level. If shortages do occur later this year, some money will be made. Major DRAM producers are moving their DRAM manufacturing to more efficient production nodes. For example, Samsung is in pilot production at the 45 nanometer node (the smaller the node, the higher the circuit density = efficiency). Inevitably this will spur further price decreases, but the outlook remains very difficult to predict, and will also track the economy. 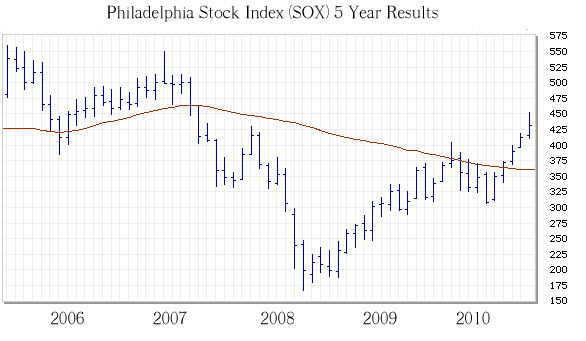 If the world economy stays in recession, look for prices to remain very weak. In an effort to stabilize prices, Samsung, Toshiba and SanDisk have reduced flash memory production by about 30% this year. A 16GB NAND flash memory chip sold for about $1.80 at the end of 2008, but is now selling for over $4. Apple's new 3GS smart phone is causing some of the increase in NAND flash memory prices, since each phone consumes between 8-32 gigabytes of NAND flash. Global sales of NAND flash memory is expected to rise for the foreseeable future at a compound annual rate of about 40%, (more than $900 million in 2013). Last year, Apple made a $500 million prepayment to Toshiba for flash memory chips to ensure an adequate supply. Apple has been manipulating the market for NAND flash memory chips by ordering more chips than it actually consumes. This results in artificially deflated flash prices (Korea Times). Apple receives very good profit on its memory, but leaves manufacturers with more flash chips than needed. Many memory factories are capable of producing either DRAM or NAND flash products. When the NAND market had oversupply problems earlier this year, DRAM prices were quickly affected since the factories shifted production from NAND to DRAM. DDR3 DRAM (SDRAM) is now shipping from a several memory vendors. DDR3 is better because the chips can use 60 percent less power than DDR2, and provide almost twice the bandwidth (data rate). DDR3 is expected to eventually replace DDR2 as the memory of choice. Currently, DDR3 1066Mhz 2GB sells for about $24. DRAM vendors including Samsung Electronics have narrowed down the price difference between DDR2 modules and DDR3 in an attempt to encourage faster adoption of DDR3 by PC manufacturers. DDR3 allows for chip capacities of 512 megabits to 8 gigabits, for a maximum memory module size of 16 GB. The Semiconductor Industry is famous for its "Boom & Bust" cycles, and the model remains accurate. We have been in a major Bust for the last few years. If we emerge out of this recession in a slow gradual growth period, the industry will be able to track the growth with manufacturing capacity. If however, the economy recovers quickly (a "U" or "V" shaped recovery), then there will be severe shortages for many products, especially the chips that require the newest manufacturing techniques. According to the research firm, VLSI, February 2010 chip factory utilization was 93% for the front end of the manufacturing process, 95% for test, and 94% for assembly. SEMI now estimates that the industry experienced an 8% annual growth in installed fab capacity for 2010 (growth was -4.4% in 2009). The SEMI forecast projects another 8% increase for 2011, and 9% for 2012. Spending in North America is included with approximately $9 billion forecasted to be spent for fabs in North America. 12 fabs investing over $100 million each, including Intel’s upgrades of its facilities in Arizona, New Mexico, and Oregon. GlobalFoundries (AMD) fab construction project in upstate New York, and Samsung’s 300 mm expansion in Austin, Texas. IBM, Micron, and Texas Instruments also are included. The semiconductor industry is increasingly dominated by just a few companies. According to IC Insights, this trend is likely to accelerate (Only 10 Players in 300mm Wafer Race). A trend having enormous impact on capital investment strategies is the use of foundries. Foundries are most often found in Asia, especially Taiwan. Companies, including Intel, Texas Instruments, and AMD, have been using foundries for years to supplement their production capacity. Intel has been in the news for outsourcing the Atom, the microprocessor designed for netbooks, and Intel's most promising venture in years, to a foundry in Taiwan. Dongbu Semiconductor in Korea is for all practical purposes, a TI facility. Dongbu is the world's 6th largest foundry with two 8-inch fabs, a total production capacity of about 95,000 wafers a month (a single wafer results in hundreds of integrated circuit "chips"). TI executives hold two key positions at Dongbu Semiconductor: Lou Hutter, Senior Executive Vice President and General Manager of the Analog Semiconductor Division, and Shaunna Black, Senior Vice President of Manufacturing Operations. But as recent problems at Taiwan Semiconductor Manufacturing Company (TSMC the world's largest foundry company) demonstrate, it can be dangerous to rely on a third party for critical production. TSMC recently confirmed a yield crash with their 40nm process technology that has resulted in yield rates below 40%. Major customers for TSMC's 40nm processes include AMD and Nvidia. Capital spending by semiconductor companies declined last year by about 40%, to $26 billion (from $43 billion in 2008). Samsung has reduced its capital spending by a third. Micron (Idaho) has cut its capital spending by almost 75%. DRAM suppliers have cut back the most. DRAM capital spending is 20% of its level in 2007. Intel, is the exception, and has cut its capital spending by only about 2%. Forecasts for this year (notoriously unpredictable) call for an increase in capital spending of more than 10%, as measured from last years exceedingly depressed baseline. It should be noted that Applied Materials (the world's largest Semiconductor equipment manufacturer) has announced a headcount reduction of about 12% for later this year. "We have to be realistic about the markets we are serving," Applied Materials CEO Mike Splinter. AMD and Intel are surviving the slow economy better than the memory companies. Unit shipments increased to more than 280 million units last year. The inexpensive Atom processor helped to boost unit growth, but resulted in a lower average sale price (ASP). The Atom microprocessor used in notebook computers represented about 20 percent of Intel's mobile PC processor shipments. The CPU ASP dropped by 10 percent (IDC). According to figures from the U.S. Bureau of Labor Statistics, microprocessor prices fell 49% a year between 2000 and 2006, declining more than the prices of personal computers (26%), storage devices (23%) and software (1%). Ironically, the European Union fined Intel more than 1.06 billion euros (~ $1.5 billion) for market manipulation. It would appear that Intel's manipulation was counter-productive. Intel had over $21.5 billion of cash in the bank at the end of 2010. The European Union fined Intel $1.45 billion in May. Late last year, Korea's Fair Trade Commission fined Intel $18.6 million. And in November, Intel agreed to pay $1.25 billion to AMD to settle all antitrust and patent suits. A billion here, and a billion there, and pretty soon, you are talking about some real money. Samsung Electronics Co, Sharp Corp and five other makers of liquid crystal displays (LCD) have agreed to pay more than $550 million to settle claims that they colluded to fix prices for LCD panels in televisions, notebook computers and monitors. "This price-fixing scheme manipulated the playing field for businesses that abide by the rules, and left consumers to pay artificially higher costs for televisions, computers and other electronics," New York Attorney General Eric Schneiderman said in a statement on Tuesday. Samsung will have to pay $240 million, Sharp $115.5 million, Taiwan-based Chimei Innolux Corp $110.3 million, and Hitachi will pay $39 million. The agreement follows a second settlement earlier this month by eight companies, including Samsung and Sharp, requiring payment of $388 million to settle litigation by direct purchasers of the LCD panels. The overall proportion of total computer costs for data storage continues to rise. Storage will soon account for more than half of total computer hardware and software costs. Hard disk manufacturing and design has improved dramatically in recent years to result in drives of higher capacities for the same price. At the beginning of the decade, 40GB was the highest capacity generally available, but now drives of 3 TB (75X increase) are available. Demand for the 160-GB through 500-GB SATA units is stable. IDE drive production continues to decrease as the market moves to the SATA interface. Spot shortages in the IDE interface may be expected. SSD Drives are still more expensive than conventional HDD. An SSD Drive now costs about $1 per gigabyte while a HDD drive costs less than $0.10 per gigabyte. The price of an SSD continues to improve (SSD drives once sold for more than $25 per gigabyte), and with manufacturing volumes anticipated, the price difference should be further reduced. Prices for SSD decreased by more than 20% in 2011. The Thailand floods could provide a direct push to SSD. Hard-drives are expected to be in short supply though the end of the year, and SSD could contribute to a solution. A new player to SSD is Super Talent Technology. Super Talent combines flash technology with the latest specification of USB (3.0), achieving read speeds of up to 125 MB a second, and write speeds of up to 50 MB a second. This would permit 500 MB of data to be downloaded in 10 seconds. SSDs are an ideal storage solution for netbooks. One can buy an 80 GB HDD for $30-$35, but that would only get you 15 GB of flash capacity. At the current technology node (42 nm), it is not possible to manufacture SSD at $1/GB, but when the manufacturing node reaches 24 nm, this price looks feasible. Toshiba became the first fab to begin 24 nm volume production in 3rd Quarter 2010.